Prize DrawsWin a night at the Opera with the May 6 Release of Florence Foster Jenkins! 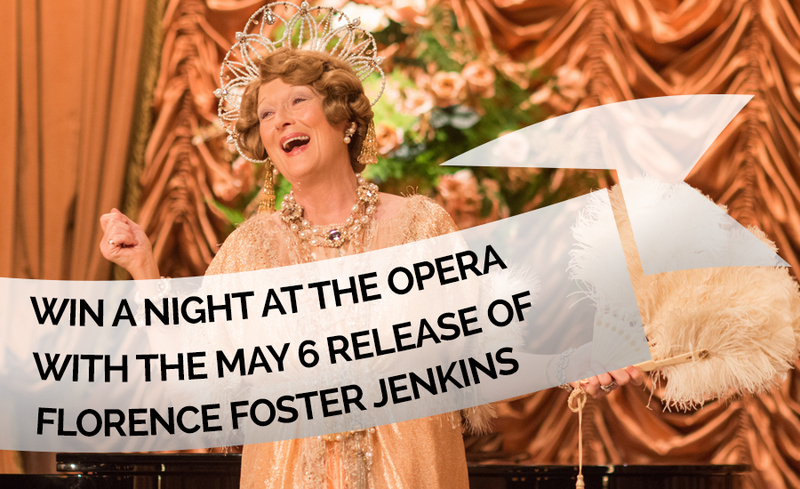 Win a night at the Opera with the May 6 Release of Florence Foster Jenkins! 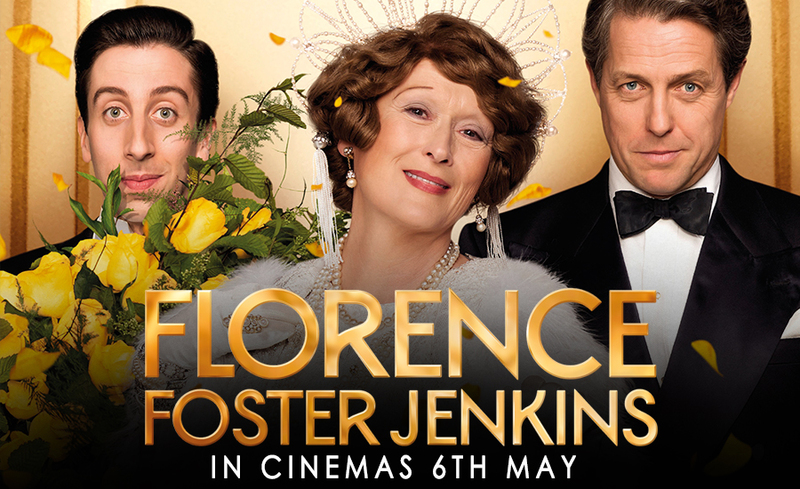 Win a night at the Opera in London to celebrate the UK release of FLORENCE FOSTER JENKINS, starring MERYL STREEP and HUGH GRANT! 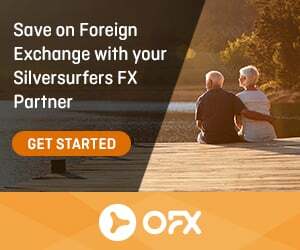 To celebrate the forthcoming UK release of the heart-warming and inspiring comedy drama FLORENCE FOSTER JENKINS on 6th May, starring Meryl Streep and Hugh Grant and directed by Stephen Frears (Philomena, The Queen) we’re offering Silversurfers members the chance to win a fantastic trip to London. One lucky winner and a friend will enjoy a night in a London hotel with tickets to enjoy a performance of your choice at the Royal Opera House and £100 towards your train fare. Prize includes one night in a Central London Hotel. You will also receive £100 towards your train fare. I would just like to a say a massive thank you for our night at the Royal Opera House.I took my sister Sylvia Williams for company. We went to see Don Quixote, the Bolshoi Ballet. Wonderful evening, fabulous Ballet. A lovely stay in the Strand Palace Hotel. Thank you very much Silversurfers. 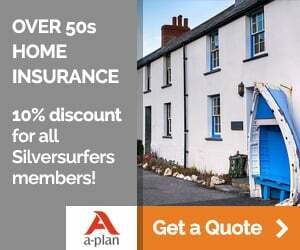 Thank you very much, I am delighted to win this prize, thank you Silver surfers. Have only been to one other London show before, would love to see another and i love Merryl Streep. Off to see this on Sunday - it looks like a wonderful feel good film. Can't wait ! Would love to win this super prize. Would love to be able to take my sister on this adventure -she has been so very generous to me and it woud be so special for me to be able to treat her for a change; as I ahve had some serious health problems I couldnt afford to take her on a trip like this normally. My Sister insists we spend my Birthday (12th June) with her in London and has asked me where I'd like to stay on the 11th and what I'd like to do. I'd LOVE to win this, then I won't have to make my mind up! One of my favourite actresses. Would love to win this fantastic prize. Never been to an opera before. That is a great prize, would love to win this. What a fantastic prize. Will need lots of luck. would love to attend an opera! I can hardly wait to win this one! Would love to go to the opera. I have never been to the Opera, so it would be a great experience. My two favourite actors in a film together - what's not to like!!!! Fingers crossed I'm lucky this time! I have only ever been to a show in London once!I would dearly love to go again before I get too old to travel alone!! I love London and would dearly love to win this prize. Here's hoping, I would love to see Meryl Streep acting. What a fantastic prize ! Worth a view by the look of it. This would be a brilliant prize to win. Watched the trailer for this movie it looked hilarious. Saw a trailer and it nearly burst my eardrums ,but ,having read favourable crits , I would like to see the full length feature! This would be such a lovely opportunity to visit London. Coming from Edinburgh the money would be great for the train journey. Everything crossed. An interesting story line, think we would enjoy this! Good luck to all who enter this competition. Would be wonderful to win because my wife is going to be 70 in June and it is one of her bucket list items! As I have said above it would be so wonderful to win as it is my wife's 70 th birthday in June and it is one of the items on her bucket list! It sounds fantastic, a real treat. It's been a long while since I've been to the ballet and the Royal Opera House would be a wonderful opportunity. 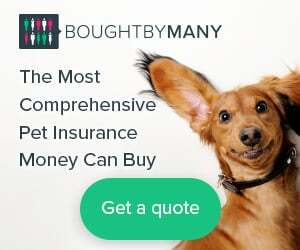 Thanks for offering such a great prize. What a great prize, fingers crossed. Love opera but have never been to one. Only seen films. Sounds good, want to win! Looks & Sounds great ! A night in London at The Royal Opera House is not to be missed ........ I would love to see another Ballet . My husband could do with this too as he has been unwell for a while ..
Its absolutely amazing the competition it sounds and looks fantastic! !